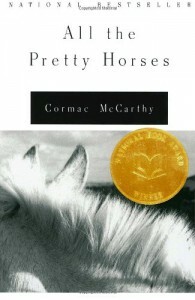 All the Pretty Horses -- Cormac McCarthy rawks - "So it goes." This is ostensibly a Western. I, ostensibly, do not like Westerns. I've never made it through any western film unless you count Native American stories, and I don't. I'll grant you that it's set in the Southwest. But this is no normal Western. While reading it, it actually feels like a saga, the word "sweeping" comes to mind. The boys ride wide open terrain, wild animals are always nearby; the weather is harsh, life can be harsher. It is so quintessentially American I can imagine some politician using it for his (yes, his) campaign. (Of course that politician and nobody on his staff would realize that many things about this book clash with their proposed platform.) It's deceptively simple and mind-bendingly complex. Characters speak in short simple sentences (save Alejandra's grandmother,) the meanings layer themselves one on top of another and before you know it, it's slipped from our grasp. I could tell you the plot, but that's almost beside the point. Riddled with death and grim reality, it retains a sense of purity and near-innocence. Our main character, John Grady, is moral, stoic and honest to a fault, a criminal and a man-child. On one level the book is violent and gritty, but if you flip it over it's a spiritual fairy tale of sorts. Is it a metaphor, a myth, a prayer, or as the writing would suggest, a lullaby? Do the characters make their own choices, or are they simply puppets played by the strings of fate? Think of every contradiction and this book could probably fit most. 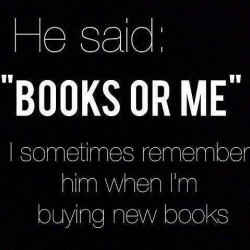 It's fun to read all sorts of books. I see no reason for shame about a beach read or a comic book or a "genre" read like a western. But when it comes down to it, the reason I read is not simply to entertain or to distract myself but rather to find something between the pages that helps me understand and delve further into the state of being human in this oftentimes cruel and confusing world. That could be a particularly good YA novel or a book about a baseball game. All the Pretty Horses is one of those books - a book that defines the reason I read.